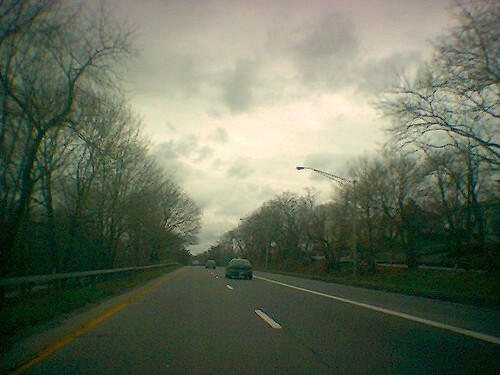 homesick: idiot wind blowing nyc am radio up thru ct.
Oh, and listening to Dylan at night makes me feel like I’m driving up or down the Saw Mill River Parkway during the day. Maybe a snowy, icy day, other cars skidded into the margin. Maybe at some point I switch over to 1010 WINS, when in range, just to hear that fake teletype patter. Or maybe the Yanks on 770, if it’s not snowing, but the summer or spring or early fall. Ha! I live near the Saw Mill River Parkway. It is truly of another age. The “Sunday driver” age. On- and off-ramps about 20 feet long, skinny lanes not retrofitted for SUVs. Go over 50 mph, and you are sure to die. But surrender to its ancient curves and experience what it must have been like to motor in 1949. I have an aunt that lives in Mt. Kiosko, and I can affirm that it is indeed a great road. Pleasant curves and dips and rises. The whole parkway system is lovely, and something I miss here in California. I could do without the stop lights on the Saw Mill, and in general a bit less of the John Cheever-ish ambience percolating through the greenery, but it’s much, much better than six lanes and billboards.